Soul Serenade: James & Bobby Purify, "I'm Your Puppet"
James Lee came from Pensacola, and Bobby Lee came from Tallahassee. James was indeed a Purify, but his cousin Bobby was a Dickey who turned into a Purify for stage purposes. They got together in 1965, and it didn’t take them long to find success. 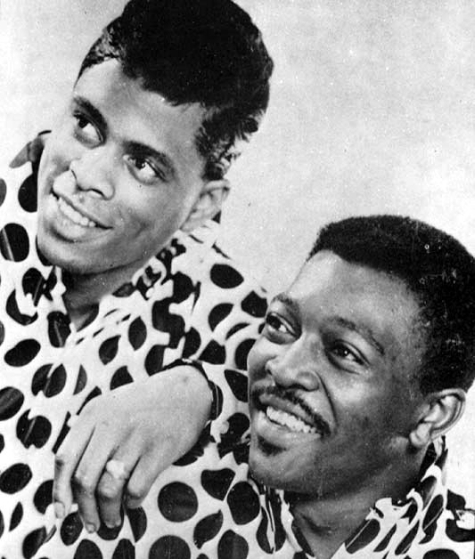 James & Bobby Purify signed with Bell Records in 1966, and by September of that year they had the biggest hit they would ever have. The original James & Bobby Purify recording of “I’m Your Puppet” was a smash. The record reached #6 on the Billboard Hot 100, spent 14 weeks on the chart, and sold a million copies. Oddly, Dickey was never a fan of the record. “I hated it. It was originally intended to be the B-side. But things got changed. I sang it for 23 hours straight (in the studio), that’s why I hate it,” Dickey told the Tallahassee Democrat in 2000. Writer Dave Marsh appreciated it more however. “If the best definition of cool is that which never has to expand any energy defining itself, ‘I’m Your Puppet’ may be the coolest soul classic ever recorded,” he wrote in his book The Heart of Rock & Soul. The road didn’t end for James & Bobby Purify with that first single. Their cover of the Five Du-Tones song “Shake a Tail Feather” was a Top 25 hit on the pop chart, and #15 R&B in 1967. Later that same year they scored again with “Let Love Come Between Us,” which again went Top 25 pop, and Top 20 R&B. The duo continued to work together until 1971, when Dickey retired due to health reasons. Back in Tallahassee, he took a job as city maintenance supervisor, and restricted his singing and guitar playing to church. He died in December, 2011. James Purify worked as a solo act for a few years until Dan Penn introduced him to Ben Moore, who became the new Bobby Purify in 1974. The duo re-recorded “I’m Your Puppet” and turned it into a #12 hit in the UK in 1976. They continued touring into the 1990’s. Moore continued working with James Purify, but also released solo albums under his own name, and as Bobby Purify. His recording of “He Believes in Me” won a Grammy in 1983 for Best Soul Gospel Recording – Traditional. James Purify retired in the 1990’s. Moore continued working, but when glaucoma took his eyesight in 1998 he quit the music business too. Getting encouragement from Ray Charles, Moore returned with the Bobby Purify album Better to Have It, produced by Dan Penn, in 2005. Moore then went on to become a member of the Blind Boys of Alabama.